Digital Is Everywhere. From contactless payments through to social media platforms, digital is having an impact on every aspect of peoples lives. It might be frustrating at times but in general, it is a good thing. Within Travel Retail, I believe that digital is still trying to find its place within the channel. We need to move beyond the belief that some screens showing timed ad’s are what makes digital. We need to move beyond the belief that digital shelf edging is the answer (which incidentally make me feel very queasy indeed – not sure why it has that effect. I think the effect of moving images on shelf needs further researched. I recently saw a video on Linkedin demonstrating digital shelf edging that I had to scroll past very quickly. Bizarre!). We also need to get beyond the fact that if we build a store app, it will generate sales and be an instant success. I think we all agree that ‘Digital’ will play a key role within Travel Retail, but greater thought is required in terms of how it should show up. You MUST go to the airport. If you want to fly, you do not have any choice. You have to be there. In some locations you will see that there is a walk through store. There is often little if any escape from retail at the airport. 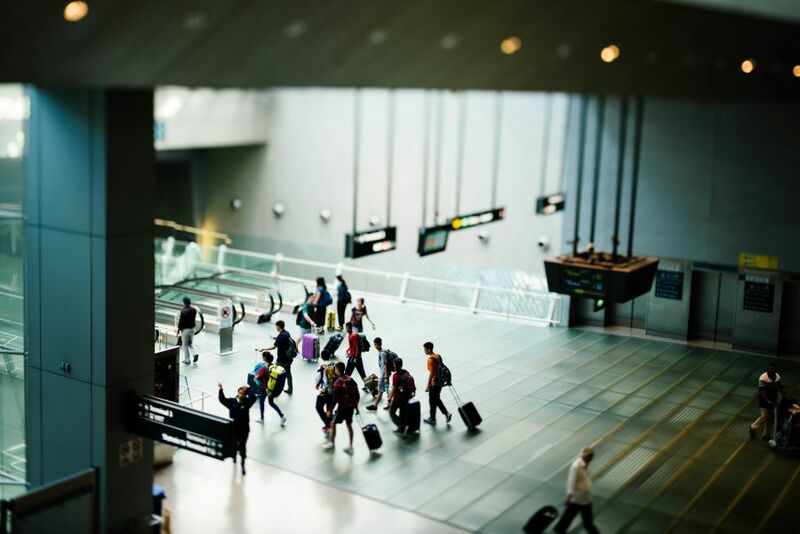 Travellers walk through security gates and if they are going on holiday, are likely to be in a positive mood and they are more likely to spend. Providing the journey from landside (your home, office, hotel etc) to airside (the departures lounge) goes smoothly, the usual barriers or inhibitions to shopping are reduced. Such inhibitors are things like bills to pay, work, life stresses etc. When a passenger enters the airport and they are going on holiday, their thoughts are more about self-treat, self-care, gifting etc. When was the last time you went shopping in a city or a shopping centre? You probably had the battle to get parked or fight your way onto public transport, deal with the crowds, being grunted at by retail staff who are too busy chatting etc. There has been much fanfare about how to use digital to increase sales. Digital absolutely has a role to play but this, for me is part of the Marketing Mix rather than the “Saviour of Travel Retail”. Personally, I believe that the ‘digitalisation’ of travel retail has yet to deliver on the promises set out at the beginning. With airports such as Frankfurt seeing a decline in Spend Per Head year on year (even though they have a digital solution), one has to question whether digital is the magic bullet to cure all? When you travel, look out for the ‘shop and collect’ counters in stores. You will probably find that some are a dumping ground for boxes, paperwork, stock that needs to be put on display etc. So why are the airports pushing for ‘Digitalisation’ OF RETAIL? Do they want to create a seamless travel experience for passengers? Is it to create a better standard of service? Is it to help retailers improve their sales? Whilst all of the above are valid reasons, the key motivator is to ensure that online / digital sales fall within the boundaries of the concession agreement. In short, it is a land grab. Retail concessions normally pay a percentage of sales to the airport. The percentage will vary by category. Should retailers move to an online platform that enables travel retailers to sell their products online for home delivery, the airport needs to know that they will get their share of the pie from being the source of the traffic. By owning the channel, by having the purchases being logged through the airport system, the control and a share of the revenue can be processed accordingly. Now, I am not cynical. I think they are sensible to do it. If the retailers are benefiting from the passenger travelling through the airport, this makes sense that they should receive some form of benefit from it. Here is my view on Digital? I believe that digital has a role to play with Travel Retail. That said, I don’t think that it is “the saviour” of our channel. I believe that digital marketing forms part of the marketing mix and not the central focus. If we take digital off its pedestal for just a moment, we see it for what it is and can therefore make sensible decisions about how best to deploy it for maximum effect. Overall, I think with the existing approach that our channel takes, this is a slow burn solution and that Travel Retail should accept that it will take time to develop. If there are people actually coming into your store by their thousands every day, doesn’t it make sense to ensure that the in-store experience is spot on? Right now, there are some major opportunities to improve the experience. Next week, I am going to share how you can add an extra dimension to visual merchandising to drive conversion. As ever, thank you for reading, sharing and joining the debate. PreviousSense of Place : Has Travel Retail Got It Wrong?